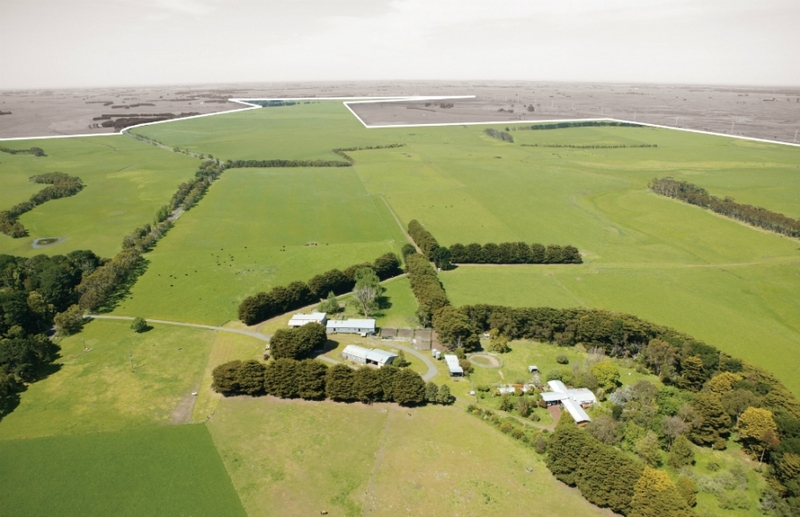 British-Australian billionaire hedge fund manager Sir Michael Hintze has added to his farming interests, purchasing an aggregation of three contiguous grazing properties in western Victoria for $7.5 million. The price well and truly exceeded the $6m price expectations. The three holdings near Willatook – 594ha Murraba, 99ha Maloneys and 149ha Glenholme – a highly productive region, have been held by the Webster family for more than 35 years. Comprising high quality soil types, reliable rainfall, improved pastures and an excellent fertiliser history, the 842ha aggregation has a 12,500 DSE carrying capacity. It features quality fencing, a well-designed laneway system and reticulated stock water to each paddock. The walk-in, walk-out transaction, negotiated by CBRE’s James Beer and Duncan McCulloch, included 450 Angus breeders with calves at foot, 350 yearling cattle, 30 Angus bulls and 150 cross-bred ewes for prime lamb production. In January 2017, Sir Michael Hintze purchased the historic Victorian beef and sheep property Cheviot Hills, near Penshurst, for around $10.5m. The 1951ha beef and sheep operation was the first Western Victorian purchase by his MH Premium Farms, which at the time was supposedly considering more acquisitions in the region. Since 2007, MH Premium Farms has purchased more than 40 properties across Queensland, New South Wales and Victoria spanning more than 70,000 hectares. 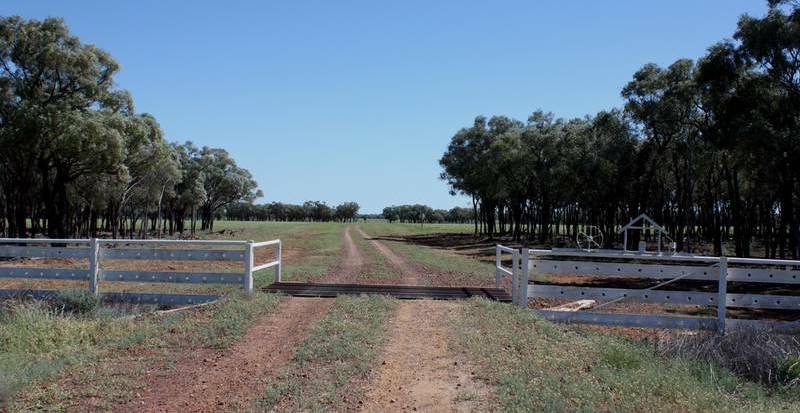 A Top End family-run company has purchased the 60,769ha breeder property Margaret Downs, an hour and a half south-west of Katherine in the Northern Territory. KD Rural is a contract mustering and fencing business owned by Sam and Victoria Burke and Tim and Jessica Corones who have been leasing Broadmere Station, 180km west of Borroloola. When Margaret Downs (pictured below) was listed for sale by Elders in March this year, it had a $8.7m price tag including 5500 head of Brahman cattle. However, the final price was below that, being based on sale numbers of 4500 head. The vendors, Lindsay and Margaret Miller, sold Margaret Downs to bring their son, Neil, home to manage the family property, Undilla Station near Camooweal in northwest Queensland, allowing them to step back and semi-retire. Margaret Downs has an 800mm average rainfall. The slow-moving Dry River provides semi-permanent water to the western side of the property which is ideally suited to early dry season grazing. The remainder of the property is watered by seven equipped bores, numerous dams, turkey nest, tanks, troughs and soaks. Elsewhere in the top end, Elders and Territory Rural have sold the 9620ha cattle breeding and fattening enterprise Edith Springs for $4.71m bare to former neighbour Steve Black, based at Braidwood in NSW. Just four months ago, in an off-market transaction involving Alison Ross from Elders, Mr Black sold his 14,120ha Two Rivers Station, next to Edith Springs, to a Sydney-based purchaser with overseas backing for around $6m bare – more than double its 2017 purchase price. Mr Black, who had owned Two Rivers for just 16 months, had no intention of selling, but in the end was driven by price. Located 45km from Katherine, the property boasts 46km of pristine river frontage to the picturesque permanent Fergusson and Edith Rivers. 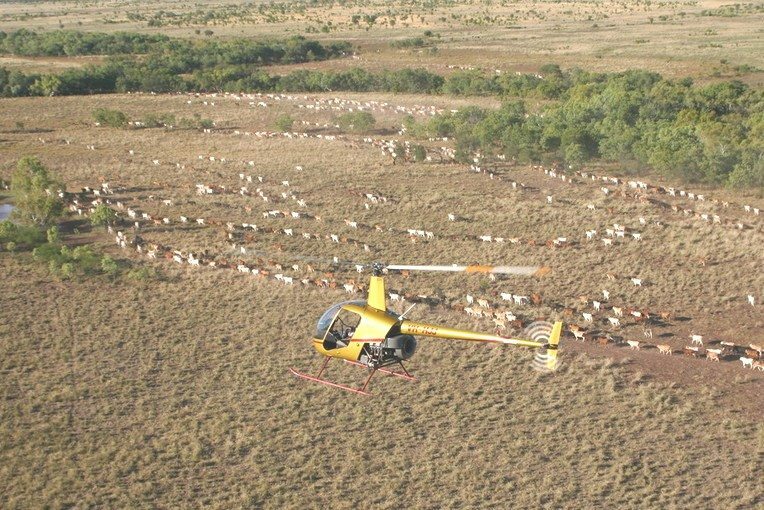 With an estimated carrying capacity of 3000 head of cattle during the wet season, or 2000 head year-round, Two Rivers is suited to backgrounding or establishing a breeding herd. It also has irrigation and tourism potential, including fishing. Neighbouring block, Edith Springs (pictured below), 45km north-west of Katherine, has 15km frontage to the Edith River and a 12km frontage to the Stuart Highway. The country comprises 2160ha of deep loamy red earths, 397ha has been fully cleared (previously under cultivation to hay), while the 4320ha balance is timbered – fenced into eight larger paddocks and linked by laneways. It is watered by 1200mm of annual rainfall, permanent waterholes, bores and springs. Mr Black will use the property’s 360 megalitre water licence to grow fodder crops to feed 1500 head of cattle. The property was purchased in 2014 for $4m by the Melbourne-based, Indonesian-owned, Benart Livestock who has been using Edith Springs has a depot for live exports. Mr Black has similar plans. “We will be preparing cattle for live export, breeding and making hay. We are hoping to build a stable operation in the NT that may even out the variability and seasonal conditions being experienced by my other properties in southern Australia which are in terrible drought,” he said. Peter and Louise Hicks from Mulgrave, Barcaldine, have paid $7.85m ($590/ha) for Blackall district grazing properties Selvister & Linden. 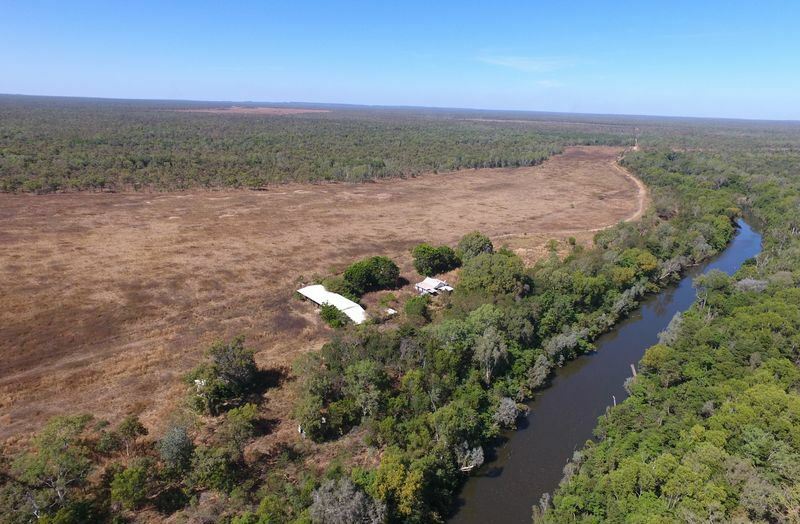 The 13,305ha grazing aggregation (pictured below), located 30km from Blackall, was listed for private sale by Elders after being passed-in on a vendor’s bid of $7.6m at auction in August. Offered for the first time in 100 years, Selvister & Linden have sensibly developed pebbly gidgee country with some open downs, as well as the Ravensbourne channels growing buffel, Mitchell, button, blue and Flinders grasses plus herbages. The property is well watered with a combination of dams and tanks and troughs and includes 11km of new exclusion fencing. With a carrying capacity of 1600 breeders, the Hicks will expand current breeding operations. Meanwhile in another local transaction, retiring vendors Les and Cathy Wheelhouse recently offloaded their other Blackall grazing operation Fairlea at auction for a district record of $2.3m or $888/ha. The Roper River Region’s Big River Station, 260km south-east of Katherine, is under contract. Spanning 707sq km, Big River was subdivided off Roper Valley Station in 1996. It currently runs 4500 dry cattle, but with further development could carry 7000 head. The country is diverse and includes open red loamy creek soils to black river flats. A feature is some escarpment gorge country with plenty of water and waterfalls. Three rivers run through the property – the Roper, Flying Fox and Julboi – providing permanent running water, as well as numerous waterholes. Alison Ross from Elders said she was unable to disclose the price and the purchaser until contracts are exchanged later this year. 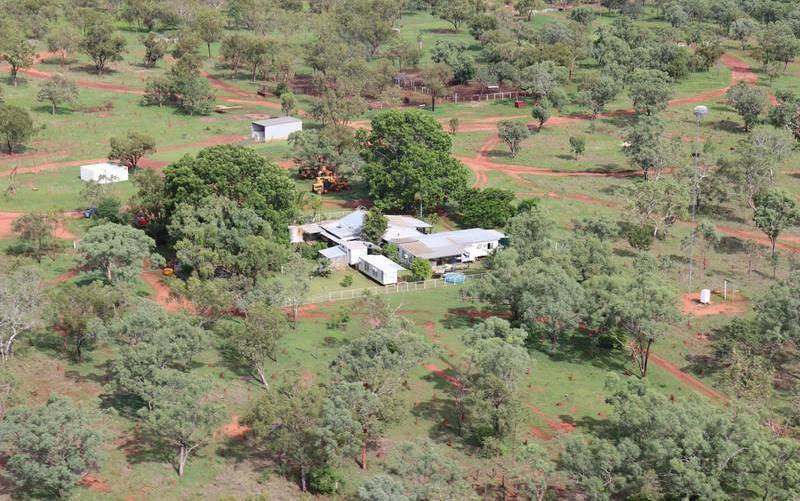 Another Northern Territory property reportedly under contract is the 89,580ha Mataranka cattle breeding enterprise Flying Fox Station. An expressions of interest campaign, jointly run by CBRE and Ruralco Property Territory Rural, closed on May 24. Located in a reliable rainfall district, Flying Fox, pictured above, boasts river frontage and numerous perennial systems flow through the property. Flying Fox has a carrying capacity of 8000 head (or 10,000 if fully developed) and bitumen access via the Stuart and Roper Highways allowing year-round market access during the wet season. Earlier this year, CBRE’s Geoff Warriner told Beef Central that Flying Fox was ideal for further development. “The property has 30,000ha of alluvial black soils (known as Kununurra clay) suited to pasture improvement and irrigation development. Independent assessments have identified the black soils for the development of cotton, and various seed crops. Alternatively, large areas of country could be flood irrigated to greatly extend the period of quality grazing,” he said. Eco-tourism opportunities exist on Flying Fox including recreational fishing and hunting. A 32-room accommodation village and powered caravan sites with a commercial kitchen provides additional income.